Yesterday, Attorney General Lisa Madigan, along with 10 other Attorneys General, sent a letter to U.S. Department of Labor Secretary Alexander Acosta raising serious concerns about its Payroll Audit Independent Determination (PAID) Program. The PAID Program allows certain employers to avoid prosecution and penalties for labor violations by simply paying back wages owed to their employees under federal law. In the letter, the Attorneys General expressed concern that the PAID Program, a pilot program recently announced by the Department, encourages employers to have their employees waive important state law protections, like higher minimum wage levels and longer time periods to sue for labor violations, in exchange for payment of overdue wages. 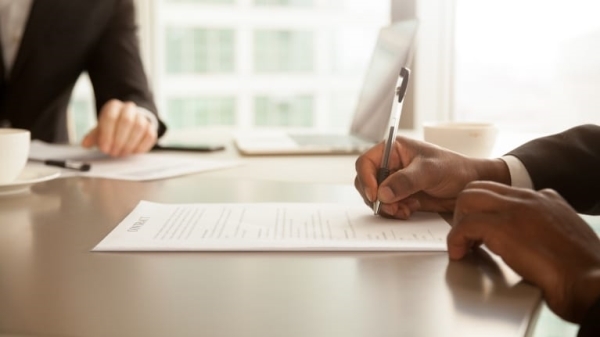 Even though such waivers may not be enforceable, employees may be misled into believing they have no legal recourse to fully vindicate their workplace rights. The letter to Secretary Acosta raises multiple concerns with the PAID Program, including that it releases employers from the obligation to pay liquidated damages, penalties and interest on overdue wages. Additionally, the PAID Program does not appear to require employers to pay employees at any applicable higher state or local minimum wage or overtime wage rates or to pay wages owed during longer state statute of limitations periods. For a fast food worker in Chicago, for example, that could mean the difference between recovering at the federal minimum wage of $7.25 an hour rather than the applicable city minimum of $11. The letter also states that the PAID Program encourages employers to have employees sign separate releases to settle claims under state law. However, the Department of Labor refuses to oversee such state-law settlements to ensure their fairness. Additionally, the letter warns that the PAID Program may improperly permit participation by employers who are currently under investigation by state Attorneys General or labor enforcement authorities. Madigan was joined in sending this letter are the Attorneys General of California, Connecticut, Delaware, the District of Columbia, Maryland, Massachusetts, New Jersey, New York, Pennsylvania and Washington.